MAB Enterprise is a business that provides a variety of services for all business classes, organizations, and non-profits. We focus on Ministry, Academics, Business, and Entertainment. MABE was birth out of the desire to help people reach their full potential and make their dreams come alive! Contact us today to discuss how we can empower you! 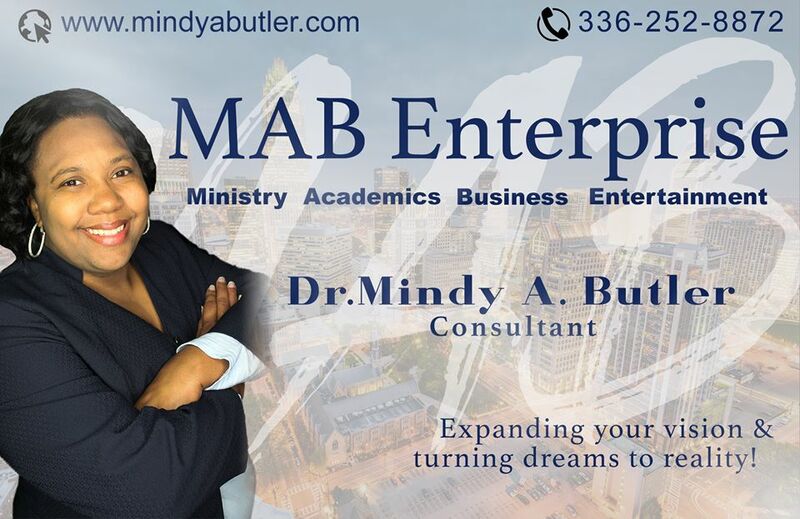 Pastor Mindy A. Butler is a dynamic woman of God who God has anointed for such a time as this. She obtained her PhD in Biblical Studies in 2013. She is a preaching teacher with a prophetic anointing that brings front healing and deliverance. The power of God rest on her life yet she is humble and down to earth. She is the co-founder of Covenant Bible Training, and has established several learning centers aboard. Additionally, she does seminars, conferences, training & development, motivational speaking and mentorship. She has written 6 books and is currently working on a children’s series called Adventures with Min Min. Although, four of the six books are devotionals, Pastor Mindy considers them self help books and the children’s series will have character building traits in them. MABE started out as teaching young entrepreneurs basic business skills. Today, business consulting is still a vital part of the business. In 2005, Dr. Mindy was awarded a BS in Business Administration. Additionally, we provide manage/oversee businesses through virtual office assistance. Since the tender age 6 when our founder started writing, poetry and songs has been the center of her love for writing. There is nothing like good music! We manage artists, and a company who provides event planning services, we host events, and partners with other organizations to make an impact in the communities were we work, live, and play.